Need help shopping for the anxious, stressed-out, or overwhelmed person in your life? Let’s make your gift-giving experience a—dare we say—stress-free one with these top picks. Curated and loved by fellow anxious and stressed-out people, these are gifts your loved ones will actually use. FYI: This post contains affiliate links, so we may earn a small commission if you purchase something. Weighted blankets are being touted as miracle cures for people with anxiety and insomnia—and that’s not just good marketing; there’s research behind the claims. By giving you the sensation of a warm embrace, these blankets help make you feel calm and secure. A 2015 study published in the Journal of Sleep Medicine & Disorders found that weighted blankets helped increase periods of deep sleep and decrease sleep movement. Participants reported finding it easier to settle down to sleep, having better quality sleep, and feeling more refreshed in the morning. This one on Amazon comes in weights from 5 to 25 pounds (choose a size that’s approximately 10% of your/your recipient’s body weight). You could win the “best gift-giver” award by treating someone to a massage package at their local spa. Or you could let them work out those knots on their own at home with a heated massage pillow. I use this one at least once a week on my neck and back—usually on the heated setting (but you can do without heat). It rotates a few different massage styles, each with enough pressure to work on your knots but gentle enough not to leave you bruised afterward. CBD is said to help reduce stress and anxiety, making it a great gift for someone who could use a little stress relief. We recommend the Beekeepers Naturals B. Chill Honey Sticks. Made with USA-grown hemp (not marijuana), these honey sticks are non-psychoactive and contain no THC. They taste delicious (you’d hardly know there was CBD in there) on their own or mixed into a cup of tea. Get them from Thrive Market (along with an extra 25% off your first order!). How many of us get overwhelmed when it comes to making or keeping track of plans? Yeah, same. Personally, I have a work calendar on my computer, reminders on my phone, another calendar on my phone, random sticky notes, and some reminder cards for appointments. It’s a mess. Thanks to fun designs, personalization options, and unique inclusions (like stickers and goal-setting spreads), the LifePlanner™actually makes getting organized fun. Order one with your friend’s or family member’s name printed on the cover for the perfect gift. Get the LifePlanner™from Erin Condren Designs. A good night’s sleep is so important when it comes to managing one’s stress and anxiety. For those who might have trouble sleeping, eye masks can totally help. Honestly, when I started using a silk one by slip, my sleep quality improved dramatically. It helps me block out excess light and relax my eyes (no more squeezing them shut) without putting pressure on my face or head. While most eye masks will do that, the special thing about silk is that it won’t soak up all your skin care products or tug on your hair/make it frizzy. Get it from Dermstore (available in other colors/patterns as well). With calming scents like Vanilla Lavender and Amber Cardamom, this candle is already a great gift for someone who deserves some more relaxation in their life. But this soy candle takes the luxury up a notch. Once you’ve burned through the candle (approximately 75 hours), wash out the container, and it becomes a gorgeous cocktail glass. Get it from Tastemade (available in 3 scents). My friend convinced me of the magical powers of this simple device, and since I’ve owned it, I’ve made believers out of my roommate and a couple of other friends. Mimicking the idea of acupuncture, this mat (and pillow) uses little pricks to release tension throughout your muscles. It doesn’t hurt—as long as you don’t step directly on it—but it does take a little getting used to. Just lie down on it and chill for like 20 minutes. You’ll feel much more relaxed and loose afterward! Get it on Amazon—available in 3 colors. Meditation is a seriously underrated tool. It’s a way to quiet your thoughts, relieve stress, and pave the path toward a life you love. It’s free and accessible to all of us. The only problem? Many of us don’t know how to do it or just don’t want to be alone with our thoughts. For us, guided meditation app Headspace is a godsend. Headspace lets you learn to practice anywhere, with its assortment of guided meditations, animations, articles, and videos. Purchase a gift on Headspace—available in 1-month, 1-year, or 2-year subscriptions. Scented candles, muscle-soothing bath salts, a glass of wine, a good book… Sounds like the perfect bath setup. But how long can you really relax with your neck leaned up against the side of the tub? I’ve tried the travel pillow thing (the one I use for airplane travel), and it just doesn’t quite work for a bath. It gets too humid, and if you drop it in the tub by accident, then you’re kinda screwed. This suction-cup bath pillow attaches securely onto your tub, letting you lean back and relax in the spa setup you’ve made for yourself for even longer. We’re not condoning turning to alcohol to solve your problems, but a glass of wine or two can be a great way to wind down (especially around this time of year). 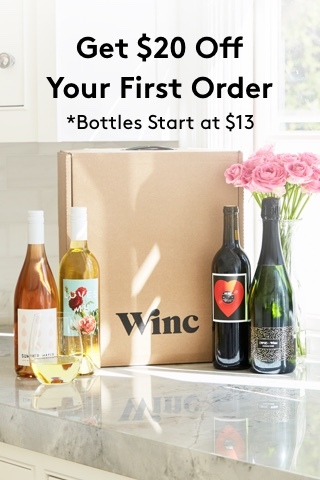 Winc is a monthly wine club that lets you pick your own bottles or trust their expert recommendations. Their wines start at $13 a bottle and include your go-tos and some more adventurous varieties. Give someone you love the gift of great wine at Winc. Gift certificates range from $60 to $600.